I think that many people think headaches are normal because there are so many drug commercials for headaches. It seems like since so many people get headaches, they think that it is okay just to mask the symptoms with the advertised headache relief medications. People often do this instead of trying to figure out why they get the headaches. Approximately 80 percent of headaches originate from the neck (cervical spine, nerves, and muscles). You don’t have to have neck symptoms to have a problem in the neck region. The symptom of the neck condition could be a headache. We recommend that you get your spine checked to see if there are any specific dysfunctions in your spine that could be causing your headaches. We check for restricted joint movement. Muscle tension: With the most common muscle tension headache, the muscles that connect from your head to your cervical spine can refer pain anywhere in your head. There could be trigger points in your muscles that refer pain to your head. Nerve irritation: The top three nerves that come out of your cervical spine loop back to your head so you can get a headache from those nerves getting irritated. Vertebral arteries course through your cervical spine; if there are kinks in your cervical spine, they can cause blood flow headaches such as migraines. Improper alignment: If the alignment of your neck is not proper, due to a reduced cervical curve, for example, that can create extra tension and cause headaches. Altered blood flow: The vertebral artery runs it’s course through the cervical spine and restricted vertebral segments can causes changes in the blood flow to the head that can cause blood flow headaches (migraines). I have seen great results with patients in all of these categories. 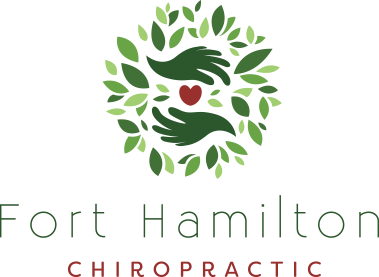 Through chiropractic, I’ve helped to provide them with headache relief and correct the underlying problems that could be causing their headaches. I had a 30-year-old female patient who had migraines twice a week from age 13. She thought her headaches were due to hormones as they started with her menstrual cycle. After two weeks of getting spinal adjustments she had no more headaches. I also had a male patient who was taking 20 aspirin a day for his headaches; after a month of chiropractic treatment, he no longer needed aspirin.